It's Mindy's favorite time of year! 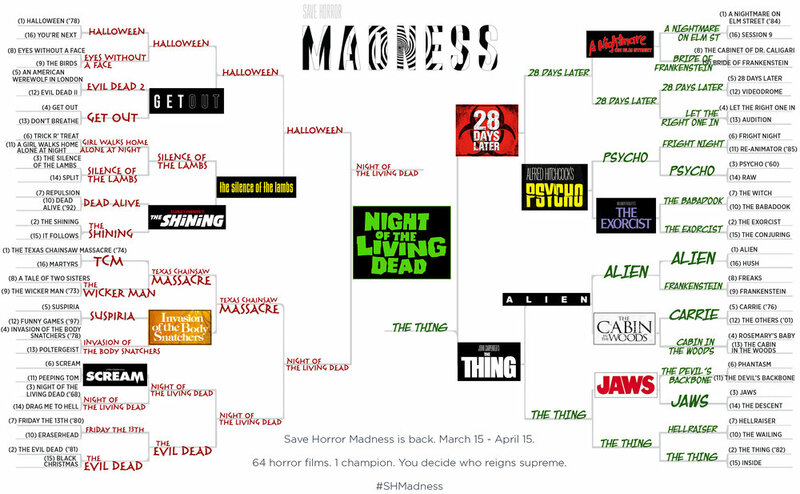 We assemble our Save Horror Madness brackets for our annual contest with Women in Caskets, Miskatonic Musings, and Tab & Jacob of Test Pattern. We tried to mix horror favorites with good sense, and some coin flipping. Have a look--have a listen--vote yourself on Twitter and Facebook and wish us luck!